Serving the Charlotte area since 2014, Ron and the team at Garage Experts has established over 2500 customers and continues to grow! With an extensive background in marketing, sales, recruiting and customer service, Ron is excited about continuing to apply his experience and background to the continued success of Garage Experts into the future! 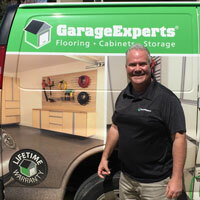 GarageExperts of South Charlotte is your local garage makeover expert. View some of our recent work.